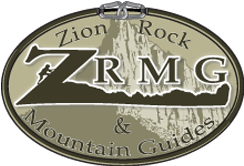 This year we have placed a greater emphasis on our new jeep tour adventures in the Zion National Park area. We offer four different tours and travel in real jeeps to take you to some of the most beautiful destinations in the region. The area around Zion National Park is spectacular in its own right. We’ll take you to places where you can see views of Zion National Park that are not possible from within the park itself. Southern Utah is was once the bottom of a great lake and as the lake drained, the flat bottom of the lake bed, became the top of the existing rock formations. Rains, rivers, and wind have slowly carved the surrounding terrain into what we see today, but the tops of most the area formations are still the flat bottom of the historic lake. We can take you to the top of some these Mesas where you can see for miles, sometimes in every direction. Each view is awe-inspiring and will leave you marveling at the wonders of God’s creations. This area is so filled with beauty that it couldn’t all be contained in one National Park. The Zion and St. George are is surrounded by many state parks, national forests, national monuments and even other national parks. Bryce Canyon and Grand Canyon are very close to Zion National Park. Our guides are very knowledgeable about the region and as you travel with them on your jeep tour, you’ll find that they know the answers to most all of your questions.